Founded in 2014, The Art of Deception was formed with the goal in mind to share the music we make and love. 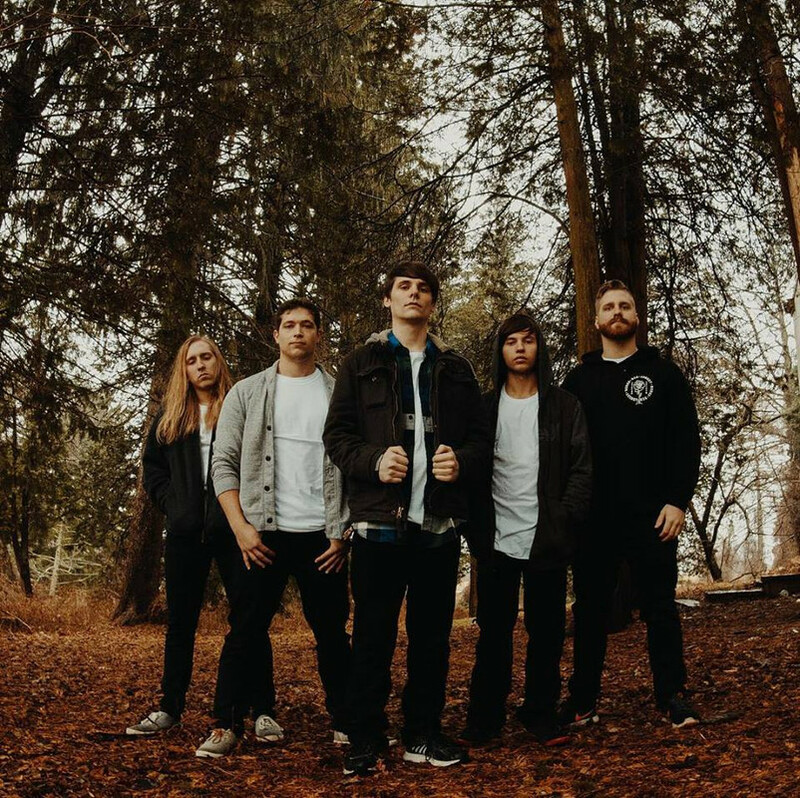 Recently The Art Of Deception released their newest single "Signals", which followed up their more radio friendly "Take Me Back (Rewind)" single. How does it stack up against the previous single? Let's find out in our newest review. The track starts off with some technical riffs before blasting into a Blood Has Been Shed type tech Metalcore sound. The breakdowns are glorious and heaviness off the charts. The three minutes are over before you know it and you'll be punching for that repeat button in no time. The band have defintely taken strides forward and upward with their brutality. The Art Of Deception leave a trail of destruction in their path via their newest single. The Art Of Deception have become a bit of an anomaly. Their works have stretched the genres between Metalcore, Easycore and straight up Metal. Their new single was just released and let's dive in to see what they have to offer up. The track starts off with a swirling guitar solo before blaring into a nice little breakdown. The driving melodic vocals kick in with the verse that sounds like A Day To Remember before hitting a more modern Blink 182 type chorus. There's some slight synth in the background but it never becomes overpowering. The track takes a turn halfway through as the melodic bridge builds up to an explosion of the ever catchy chorus. Near the end of the track is a pretty hard hitting breakdown before the chorus closes out the track. It's a solid, refreshing, radio friendly track that is sure to pull in some more listeners. The Art Of Deception have hit radio friendly status with their new single. The Art Of Deception are an upstart Metal band from PA who's looking to follow up their stellar "The Art Of Deception" EP with this upcoming five track EP. Let's dive in and see the progression of the band from their previous work. "Obscurities" opens up the EP with a fast some good ol' fashioned chuggery that'll make old Bring Me The Horizon fans salivate. The clean vocals are introduced and set the track on fire. Halfway in there's a absolute earth shattering breakdown that is sure to induce some moshing. The track is a finely tuned five minute long Melodic Metalcore masterpiece and it's only the first track! "Severence" is a track that has a bit of a Parkwark Drive influence on it along with some clean sung vocals. Overall, the track is moshtastic romp while still maintaining a fine balance through its six minute span of being heavy and extremely melodic. "Prophecy" is fast and unapologetic. The track shreds along on a high gear and doesn't let up. The breakdowns on the track are intense as is the clean vocals which only adds even more passion to the track. There's a darkness to the track and that's what helps make it as good as it is. "Everyone's A Critic" features tremendous guitar work along with vicious breakdowns and perfectly timed clean vocals. The cleans don't slow down the track as it barrels full speed ahead on a mission to destroy everything in its path. It's the heaviest track on the EP. "Family Portrait" is the lead single and the closer to the EP. The track leaves listeners yearning for more as it glides along effortlessly leaving devastation in its wake as the breakdowns swirl around the tight production and clean sung vocals. Five songs are not nearly enough! Metal/Metalcore fans will eat these five tracks up without hesitation. The Art Of Deception have upped the ante and set out to leave their mark on the Metal/Metalcore genre. This EP from Pennsylvania metal band The Art Of Deception was released last year and with new music coming soon, let's dive in and see what they're all about. The opener "The Lessons We've Learned" kicks things off with an intensity that brings to mind early Bring Me The Horizon and early Slipknot. It's a high tempo track and will definitely create some circle pits when they play it live. "Save Yourself" features tons of melody. The track has shades of early A Day To Remember with its ferocious breakdowns mixed with pop/punk clean choruses and harsh vocals. It's a truly incredible track and is extremely radio friendly. "Behind The Walls" brings the metalcore sound back to the forefront. The track packs a ton of punch and will certainly appeal to the heavier metal fan. "Mirror" is another melodic masterpiece. The track brings to mind Atreyu and early Endwell with its super catchy clean sung chorus and crushing metalcore sound. "Leviathan" is another beast of a track. The track is pure metalcore devastation. The closer "Tread Lightly" showcases their sound to the fullest. It's a closer that won't be forgotten anytime soon. Their new music can't come soon enough. The Art Of Deception have created a crushing EP that explodes with brutality. 1. How did you get started with music and how did you develop your sound? Who thought of the name “The Art Of Deception” and is there any meaning behind it? Nolan (vox & guitar) and Dave (guitar) have known each other since childhood, and have been in several bands together throughout their youth. After highschool, Nolan continued on with his music career while Dave's began to stagnate. After multiple failed projects, Nolan found himself in Ohio without a ride and needing to get home, so Dave went to pick him up. During the long drive from Ohio back to our hometown of Danville, Dave and Nolan came up with the idea of starting their own band. They had been the "second fiddle" members of their previous bands, and they decided this band would be equal in all parts in all ways, and began searching for additional members. On one fateful day, Nolan was in the local beer distributor picking up a case of beer. He noticed the cashier had on a Mapex t-shirt, and one of Nolans good friends owned a Mapex kit, so conversation began. As it turned out, Travis was indeed a great drummer, and we all met up to work on material. The search continued for more members and through a mutual friend we were introduced to Jared. At the time of their meeting, Jared was finishing up college, and since his graduation he has become a full-time musician. Our sound comes from the combination of each of our own unique and distinct influences. We feel this gives us a unique sound, as we all come from different musical backgrounds. Our name really came from a long process of whittling down words we liked into just a few and then combining those words into a name. Dave and Jared were really stuck on the word "Ginnungagap" while Travis was incessant in repeating his favorite name - "deceiver". Eventually, we came to The Art of Deception and we decided that was it! 2. What do you want listeners to take away from the "Self Titled" EP? How's the new EP coming along? This is our first EP, and its mostly about struggling with inner demons, and reflection on oneself and ones family/friends. What we'd like listeners to take away is really up to the listeners. Each of our songs has meaning to each member in a different way, and we hope that they have the same effect on listeners. The new EP is bangin. We are SO excited to release this stuff, but all in good time. We have about half the EP recorded and in a finished state, and we're planning to record the rest of it in early fall. We also have some very exciting additional plans for these songs! They can expect an intense, high-energy performance. Dave - Two of our songs from our new EP "Severance" and "Family Portrait". Travis - "Family Portrait" and "The Lessons We've Learned". Nolan - Senses Fail, August Burns Red, and Bring Me The Horizon. Dave - Lamb of God, Memphis May Fire, and Marilyn Manson. Jared - System of a Down, Slipknot, and The Used. Travis - August Burns Red, Of Mice and Men, and Ice Nine Kills. One time a stray cat came and hung out with us while we were loading up. It was neat. He was the coolest cat ever. There are a lot of good bands out there right now, and we feel the genre gets stronger every day. 8. What’s the current music scene like there in the Pennsylvania both locally and state wide? Well, to be honest it needs improvement. Central PA does not really have a scene, and as a result we travel to a lot of places around PA. We feel that while right now PA as a whole is at a low point, it is making a come back. However some things definitely need to change for that to really happen. Well since music downloading became the most popular way that people consume music, we have come to terms with the fact that making money from album sales is hard. It is great to make money from the hard work you've put into producing these songs, but we would rather people have our music to listen to, and come out to see a show and support our band in that way. We wouldn't want to prevent anyone from enjoying our music at home, which is why you can find our EP on most major streaming services! 10. What’s next for The Art Of Deception? Well, currently we're preparing to record at Atrium Audio in Lancaster to put out a brand new EP. We are concurrently working on a few other media projects to go along with these songs. It should be a very exciting next couple of months!